Welcome to Athens Wedding Limos Web Site! but it is the exceptional service that will keep you coming back for more! Exceptional service is hard to come by these days. Athens Wedding Limos provides a superior, comfortable, safe and Professionally Chauffeured ride as well as exceptional service, to make your experience truly one-of-a-kind. Our motto is: SERVICE, SERVICE, SERVICE! If you are planning a wedding or other special event, you want to be sure that your experience and that of your guests is perfect! Athens Wedding Limos, affiliated with sister company MusicMASTER® DJs, was founded to meet the limousine and transportation needs of brides and grooms. We also provide transportation options for all other types of events! We feel if the extraordinary service is perfect for the most important day of a newlywed couple's life, it will also be perfect for your next social or business special engagement! Every limousine engagement booked with Athens Wedding Limos receives the utmost attention to detail, making each experience unique and unforgettable. We encourage you to read comments from our valued customers! 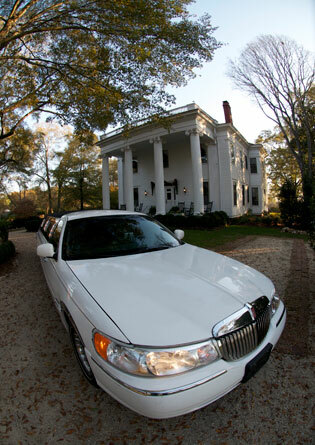 Athens Wedding Limos is the premier transportation choice, offering a variety of transportation and vehicle options. CALL 678-804-4160 NOW to book your next event and put your transportation needs in the hands of a Professional Chauffeur. Just as MusicMASTER® has built and sustained its reputation on Experience, Professionalism, Reputation, and Dependability; Athens Wedding Limos is recognized as one of the area's leading transportation providers, with each of those values at the forefront! Thank you for considering Athens Wedding Limos for your next outing! We look forward to serving you!